As we age, certain facial veins become more prominent. Large veins on the forehead, temples or around the eye area are often visible because of genetics or age. As you get older, your skin becomes thinner and may reveal the veins underneath. If you have pale skin, you may notice blue-tinged veins, as well. People who are underweight or have little body fat may have tighter skin, allowing for easier visibility of the veins in your forehead, along with other parts of your body. While these veins can often be dark, raised and give you the appearance of being older than you are, they are fairly common and are usually of no medical concern. 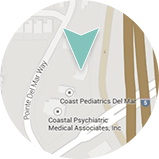 In our Del Mar Dermatology practice, deeper or larger facial veins can be treated quickly and easily, with minimal discomfort using the Gentle YAG Laser. The treatment is very straightforward, the area is cleaned of any make-up, lotion or debris and your eyes are covered with protective eye shields. Dr. Atkin may increase or decrease the laser energy, depending on how the veins respond. There is usually an immediate difference in the size and visibility or the vein. The treatment works by using heat from the laser bursts to cause the vein to seal off. Once this occurs, the blood flow is pushed into deeper vessels. After the vein has sealed off, or coagulated, your bodies own natural healing process takes over and the vein is reabsorbed. Often one treatment may resolve the problem or lighten and shrink the vein enough that is not noticeable. Other times an additional treatment, due to size and depth of the vein may be warranted. 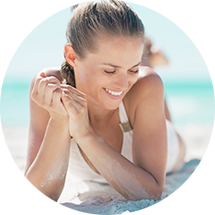 If you have any questions about Gentle YAG Laser treatment for larger, deeper facial veins, or would like to schedule a consultation, please contact us.